Assist. Prof. Elif Nur Fırat Karalar & Assist. Prof. Cory Dunn of Molecular Biology and Genetics Department; and Assist. Prof. Sarp Kaya of Chemistry Department have received “2016 TÜBA-GEBIP Award”. The award given to outstanding young scientists includes funding for research & PhD students for a duration of 3 years. Dr. Elif Nur Fırat-Karalar at Koç University’s Department of Molecular Biology and Genetics has been awarded with the prestigious Royal Society Newton Advanced Fellowship. Her research project, titled “Dissecting the role of centriolar satellites in spatiotemporal regulation of centriole duplication“ received 108.000 pounds between December 2016-2019. The successful completion of this project will lead to an understanding of the underlying cellular causes of human genetic diseases and cancer. The Newton grant will help Dr. Firat Karalar to develop the research strengths of her research group through training, collaboration and reciprocal visits with her partner Dr. Fanni Gergely at the Cancer Research UK Cambridge Institute. This fellowship is supported by the Royal Academy of Science, and aims to improve relations with UK in research and innovation for sustainable growth and welfare of developing countries such as Turkey. Below is the list of College of Science faculty members/postdocs whose projects have been selected for 2016 Seed Research Program. 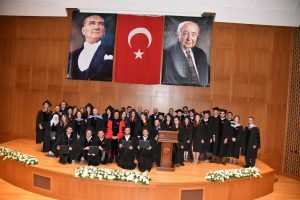 The “Koç University Seed Research Program” is designed to support innovative early-stage research projects from all disciplines, such as science, medicine, engineering, administrative sciences, economics, social sciences and humanities, law and nursing. Koç University Seed Research (KU-SR) Program principally aims to support creativity, free/ out-of-the-box thinking, and curiosity-driven research, to facilitate scientific development and innovation. The program is to be administered under the Office of the Vice President for Research and Development (VPRD). The primary objectives of the program are to incentivize free-minded and conceptually unconstrained scientific projects, to enhance global scientific knowledge and to promote scientific development in Turkey. The transfer of knowledge and technology to industry – for relevant fields of the research proposals – is a secondary objective of the program. The program is not designed to provide additional resources for projects already underway. We congratulate our class of 2016 graduates! Five faculty members from the College of Sciences have received BADEP ( Distinguished Young Scientist ) Award. Havva Funda Yağcı, Associate Professor of Chemistry and Hakan Ürey, Professor of Electrical-Electronics Engineering, have worked on the development of optical barcode and barcode scanner project for approximately 4 years in collaboration with Koc Univeristy- Inventram- OPET and pioneered the founding of KUANTAG A.Ş. They received the “Most Successful Members” Award of Koç Holding in 2015 with their project. 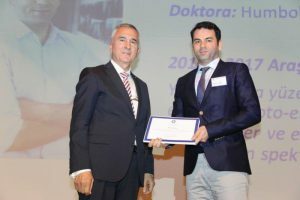 One of the award recepients, Emek Göksu Durmuşoğlu, has participated in the development of the optical barcode as part of his PhD project. An Igloo constructed on campus by our faculty member Aşkın Kocabaş. Elif Nur Fırat Karalar, Assistant Professor of Molecular Biology and Genetics, has received an ERC Starting Grant. 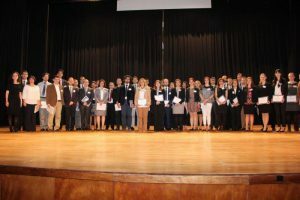 Koç University has received an ERC Starting Grant (http://erc.europa.eu/starting-grants) for the second time. Assistant Professor of Molecular Biology and Genetics Department , Cory Dunn‘ s application is one of the 124 Life Sciences Starting Grant proposals (out of 1030) in Europe that have been selected to the main list this year, and is the only one (in this scheme) awarded to Turkey in Life Sciences in 2014. Prof. Ataç İmamoğlu will be joining the College of Sciences at Koç University as a “Distinguished Visiting Fellow” during the 2014-2018 period. Physics Department hosts 10 high school students selected by TÜBİTAK among 1200 candidates (each top of their respective schools) to represent Turkey in the International Physics Olympics this year. The physics team, under the guidance of the physics faculty members Alkan Kabakçıoğlu and Menderes Işkın, will have the opportunity to work in the educational and research labs at Koç University, on topics such as quantum physics, medical physics and optics, and get acquinted with the cutting-edge research in physics today. The event is sponsored by TÜBİTAK-BİDEB. Alphan Sennaroğlu has been elected as a Fellow Member of the Optical Society of America ( OSA) for his contributions to the understanding of emerging infrared laser materials and the development of femtosecond laser sources. Dr. Çağlar received her BS and MS degrees in Industrial Engineering from Middle East Technical University and Bilkent University. She then completed her doctoral studies in Operations Research at Princeton University in 1997 and joined our Mathematics Department in 1999. Her research focuses on stochastic processes and the mathematics of finance. Four faculty members from the College of Sciences-Dr. Özgür Birer, Assistant Professor of Chemistry; Dr. Kazım Büyükboduk, Assistant Professor of Mathematics; Dr. Gülayşe İnce Dunn, Assistant Professor of Molecular Biology and Genetics; and Dr. Nurhan Özlü, Assistant Professor of Molecular Biology and Genetics, have just received the prestigious GEBIP Award (Distinguished Young Scientist Award) from the Turkish Academy of Sciences. Elvan Ceyhan, Associate Professor of Mathematics, has recently been elected for membership in the Global Young Academy (GYA – http://www.globalyoungacademy.net). GYA members are elected for a 4-year term, after which they attain alumni status. GYA membership is open to all researchers working in any evidence-based discipline, including the Natural Sciences and Medicine, Engineering, Social Sciences, and Arts and Humanities. As of 2013, the GYA has 155 members who are leading young scientists from 55 countries and all continents, and 63 alumni. The GYA membership will expand to a maximum of 200 members, each serving a four-year term. The members are selected based on the excellence of their scholarly work and their commitment to service. GYA was officially founded in February 2010 with the support by IAP: the Global Network of Science Academies ( http://www.interacademies.net ) and is currently being managed with the help of the German National Academy of Sciences-Leopoldina, the Berlin-Brandenburg Academy of Sciences and Humanities-BBAW, and the German Young Academy. Sinan Ünver, Assistant Professor of Mathematics, has just received the 2013 Masatoshi Gündüz İkeda Research Award given by the Turkish Mathematics Foundation. He will receive this award at the Middle East Technical University on February 28. 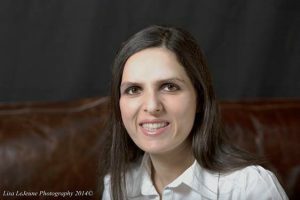 Elvan Ceyhan, Associate Professor of Mathematics, has recently been elected as a TWAS Young Affiliate for a 5-year term from the Central and South Asia Region. In addition, Elvan has also been elected as one of the five members of the Board of Directors of IASC-ERS (International Association for Statistical Computing- European Regional Section) for the period 2012-2016. IASC was founded in 1977, as a section of the ISI (International Statistical Institute) and is affiliated with the International Federation of Information Processing Societies (IFIP). President Prof. Dr. Umran Inan has received a joint appointment in the Departments of Electrical-Electronics Engineering and Physics. Prof. İnan’s contributions will strengthen the physics program in the areas of electromagnetism and space sciences. Mine Çağlar , Assoc. Prof. of Mathematics, has been elected as a member to the International Statistical Institute (ISI). 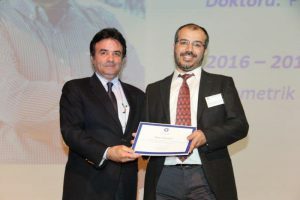 Menderes Işkın, Assistant Professor of Physics in the College of Sciences, has received the 2012 TFD Şevket Erk Young Scientist Award. 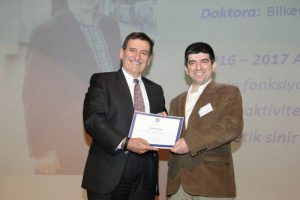 Menderes Işkın, Assistant Professor of Physics in the College of Sciences, has received the 2012 TÜBİTAK Young Scientist Award. This summer, three of Koç University faculty (Mine Çağlar and Elvan Ceyhan in Department of Mathematics and Süleyman Özekici in Department of Industrial Engineering) organized the eighth World Congress in Probability and Statistics for the first time in its history in Turkey in Istanbul from July 9 to 14, 2012. More than 750 participants from 61 different countries attended the congress. The sponsors of the congress included Koç University, TUBITAK, TCMB, National Science Foundation, European Mathematical Society, and International Mathematical Union. As a satellite meeting of the 8th World Congress in Probability and Statistics, July 9-14, 2012, Istanbul, Pre-world-congress Meeting of Young Researchers in Probability and Statistics 2012 took place at Koç University. The local organizing committee consisted of Elvan Ceyhan, Mine Çağlar, Ayşe İnan, and Enes Özel. 50 young researchers from 21 countries, most of which are the developing counties, attended the meeting. Among the sponsors are the International Mathematical Union, the European Mathematical Society, the World Bank and the Bernoulli Society. This summer, three of Koç University faculty (Mine Çağlar and Elvan Ceyhan in Department of Mathematics and Süleyman Özekici in Department of Industrial Engineering) will partake in the organization of a major event in probability and statistics. The eighth World Congress in Probability and Statistics will be in Istanbul from July 9 to 14, 2012. It is jointly organized by the Bernoulli Society and the Institute of Mathematical Statistics. Scheduled every four years, this meeting is a major worldwide event for statistics and probability, covering all its branches, including theoretical, methodological, applied and computational statistics and probability, and stochastic processes. It features the latest scientific developments in these fields. American Physical Society Award to Prof. Özgür Müstecasplıoğlu. Dr. Özgür Esat Müstecaplıoğlu, Associate Professor of Physics, has been selected as one of the outstanding referees of the American Physical Society (APS) in 2012. The Outstanding Referee program expresses appreciation for the essential work that anonymous peer reviewers do for the APS journals (Physical Review Letters and Physical Review). In 2012, Dr. Müstecaplıoğlu was designated as one of the 149 outstanding referees, chosen from a pool of 60,000 active referees. 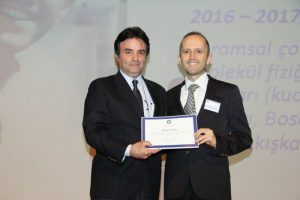 Dr. Kazim Büyükboduk, Assistant Professor of Mathematics in the College of Sciences, was awarded the 2012 Masatoshi Gündüz İkeda Research Award given by the Turkish Mathematics Foundation. Alphan Sennaroğlu served as the General Chair of the 2012 Advanced Solid-State Photonics Conference organized by the Optical Society of America in San Diego, California, between January 29 and February 1, 2012. 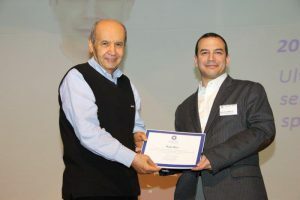 Dr. Barış Coşkunüzer, Assistant Professor of Mathematics in the College of Sciences was awarded the 2010 Science Encouragement Award from the Mustafa Parlar Foundation.